Zero Tolerance: From Victims to Victors! We, as children of the Almighty, have tolerated the attacks of the satanic realm for far too long. By taking a passive position in spiritual warfare, many have allowed their churches and families to be devastated by the powers of darkness. Our churches have become the devil's play place, while our families are getting ripped apart by our lack of a war-like prayer stance. For years the Church has seemingly been able to get by with a passive attitude - shirking off the enemy's advances - not taking Satan's attacks seriously. We have been lulled to sleep and have become worshipers of peace while Satan has been making his plans for our utter destruction. Although there have been moments when we have felt the devil pressing in around us and have made small stands against him, for the most part, we have seen no real reason to "stir" things up. Some have the attitude that if the devil doesn't bother me, I won't bother him. It is with this casual attitude that Satan has been allowed entrance into our lives. We have tolerated too much from him! And while we have been allowing what we are allowing, Satan has made strong advances into the hearts and minds of those we love. In an effort to "keep the peace" in our homes and churches, we have not confronted issues that we should have. Enough is enough! Satan has been carefully preparing his plans of attack which he intends to carry out against us. Plans of deception; plans of division; and yes, plans of our total destruction. He will not stop in his efforts to destroy us, so we must fight back...we must! So how does Satan do all of this when churches are meeting every week for worship? How can he get his grip on a family when they are living good lives, and praying often? We could answer these questions with, "We don't pray enough." But then a lot of people are attending regular church services where they pray and go to special prayer meetings and bible studies: we seem to be doing all the right things, right? When we go to bed at night, and when we wake in the morning, we lift our families and churches before the Lord and pray for His favor and protection to be upon them. If we are living holy lives filled with the Holy Spirit and the love of God, why is Satan still devouring our family members? How is it that our churches are continuing to be split over trivial issues, and the members of our congregations are being ravaged at every turn by demonic hordes? God's people are tolerating the works of Satan in their lives. You say to me, "Tolerate? I pray for my family and church regularly." But I say, do you get angry at the devil? Are you so sick and tired of him meddling in your family that you are willing to change your quiet "prayer voice" into all-out shout? The bible says that Satan "prowls around like a roaring lion" (1 Peter 5:8). Well, it is time we ROAR back! Quiet prayers have their place, but when it comes to the ones we love, we need to muster up some seriously aggressive words. It is time we put down our apathy and wreak havoc on the devil and his demons. Matthew 21:12-13 says, "And Jesus went into the temple of God, and cast out all them that sold and bought in the temple, and overthrew the tables of the moneychangers, and the seats of them that sold doves, And said unto them, It is written, My house shall be called the house of prayer; but ye have made it a den of thieves." And John chapter 2 says that He made a whip and drove them out! Jesus did not display a complacent attitude toward the abuse and deceit brought against His people and His Father's house. He was moved from His normal, peace-loving way of life, to a man set with holy anger at demonic abuse. Jesus did NOT tolerate demonic activity, He confronted it head on, and so should we. The bible makes it clear that we are to follow Him as our example in life - to live as He lived and do what He did. 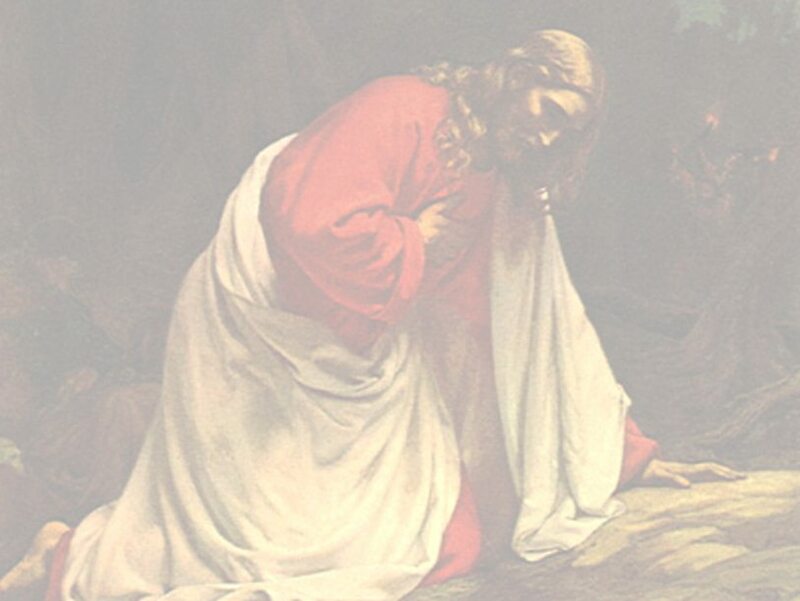 Jesus could not, and did not just sit back and watch those He loved be abused and mistreated. Neither can we sit back and let the enemy steal away the hearts of our loved ones - we can not let him harass our churches any longer. If Satan has infiltrated your church, then it's time to kicked him out! It's time that we get serious about truly not tolerating Satan, and begin to scream out in holy anger and take a spiritual whip to the devil and his demons. Our churches should be a refuge - a place of spiritual peace - where demons tremble at the very thought of entering! As for our homes...we need to take on the posture of zero toleration! We need to post a spiritual sign outside our doors: Demons beware! Do not enter! Your loved-ones are a precious gift from God. He has placed them in your hands and He is counting on you to stand up for them whenever danger is near. Don't tolerate demonic activity in your home. Get mad at the devil. Beloved, this is not the time for silent prayer...SHOUT! Passive prayers will not do the job. It is time to get violent! "The kingdom of heaven suffers violence, and violent men take it by force" (Matthew 11:12). Satan is a violent foe. He is not passive, but very aggressive, for he knows his time is short. His methods are getting much bolder. And as his hostile attacks grow more violent, we also must become more aggressive in our resistance of him. We must match him blow for blow, and then some, if we are to make a difference in our homes and churches. I turn my heart toward You just as you have already done toward me. Forgive me of my tolerant ways and for allowing Satan to have a foothold in my life. This is not what I want. I want him out of my life. I ask You now to give me Your war-like nature that I would not tolerate the demonic in my family and in my church. Show me new tactics when it comes to planning attacks against the devil, and give me divine protection and strength to carry out Your orders.